In the Mercerie are lots of shops with souvenirs, glass, food, antiques, fashion and other stuff. 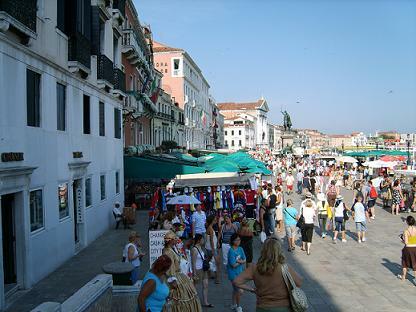 Luxury fashion and designer boutiques can be found in the Calle Larga XXII Marzo and around St. Mark’s Square. The markets are open in the morning from Monday to Saturday.